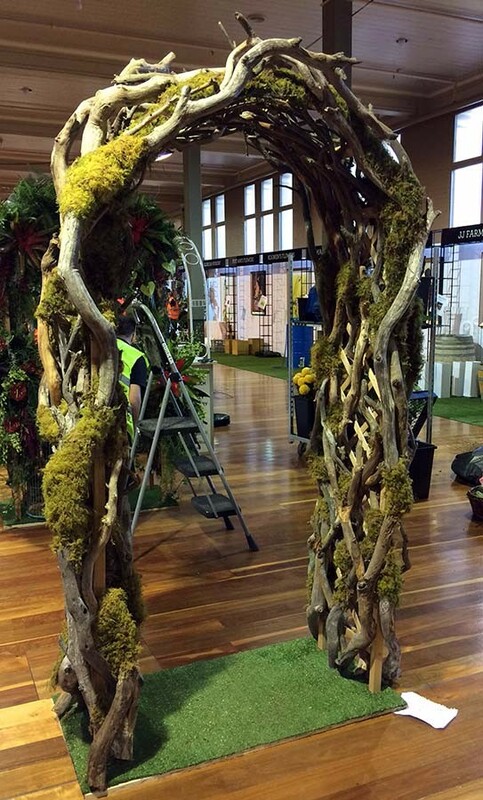 At the 2016 Melbourne International Flower and Garden Show, Flowers Victoria hosted their first “So you think you can Arch” competition. 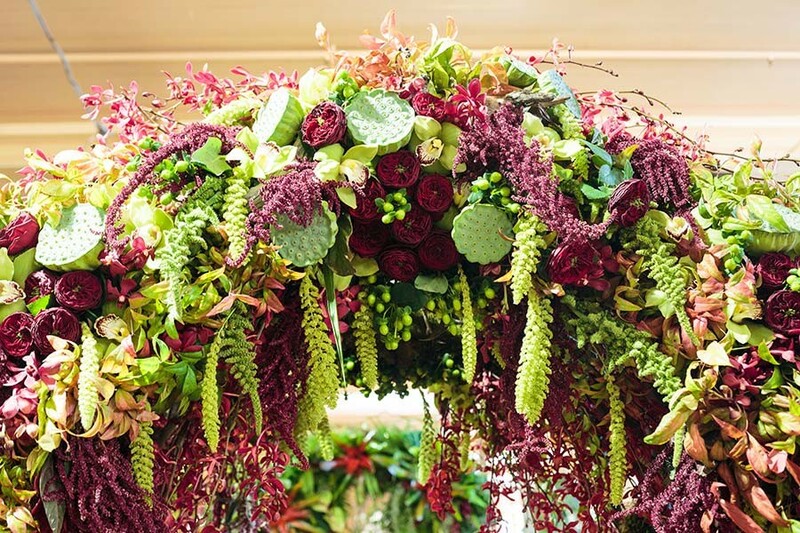 A new floral and installation based competition for florists, allowing us (floral designers) to use our imagination to bring an arch to life in the theme of an outdoor wedding. 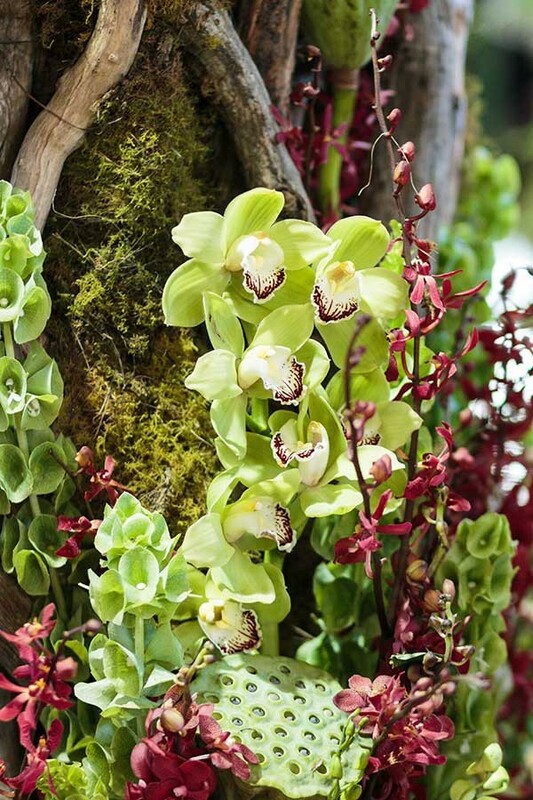 It’s not often we get to have totally free reign on creating our very own design, so we jumped in head first and created something that truly reflected Petal To The Metal. 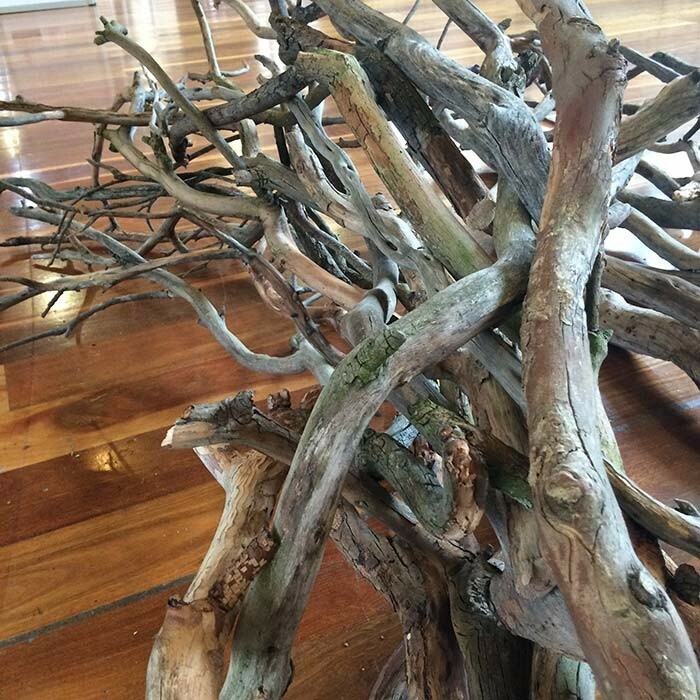 With strategically placed, locally sourced timber from Red Hill on the Mornington Peninsula (thank you farmers) we turned our Arch into an Organic Sculpture. Placing, Drilling and Sanding the wood onto the Arch took over 6 hours on the first day of installing our design onto the Arch. 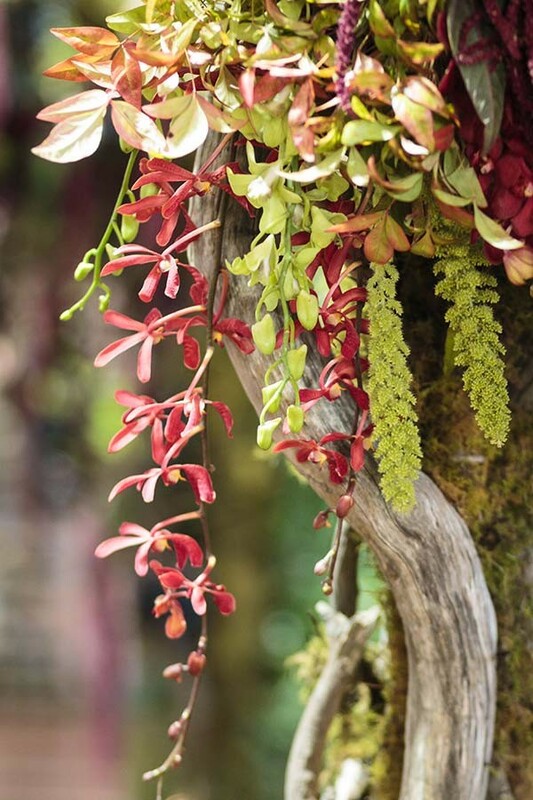 Off to Market bright and very early on the Tuesday we sourced Roses, Amaranthus, Molucca Balm, Lotus Pods, Orchids, Hypericum Berry, Nandina, Moss and the most amazing Millet. Another 7 hours later our Outdoor Wedding themed Arch was complete and we have to admit we were pretty happy and proud with the result. 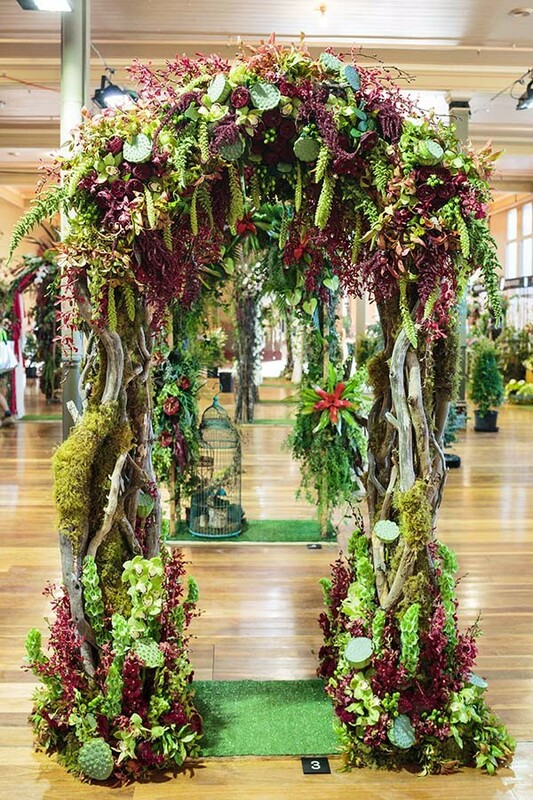 The Arch was judged that afternoon by Industry Professionals with People’s Choice running over the 5 days of the Melbourne International Flower and Garden Show. We were honoured to receive 3rd Place from the official judges and a week later be advised we won the Peoples Choice award. 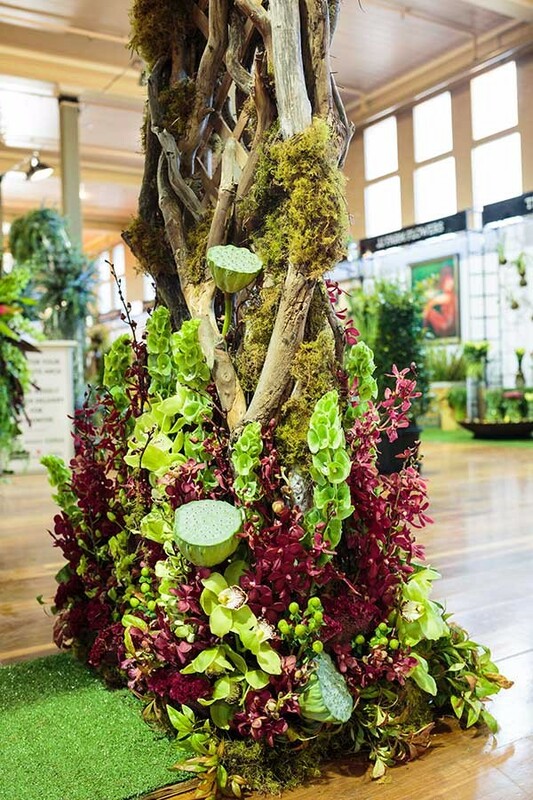 Thank you to MIFGS and Flowers Victoria for holding such a great event and allowing the Florists of Victoria to showcase our talents and passion for floral design. Thought we’d share some pics of the progress of our Arch.